We are currently reworking the logo for the Audio Mobile project, which includes the app icon, social media icon set, web logo and versions for print, in black and white and colour. What this project calls for is a logo that brings together various elements of the way the mobile device will be used by a particular community of audiophiles. The app serves to record sounds along a particular trajectory, usually outdoors, for which movement is visibly mapped out. Trajectory: We are working on something that illustrates the trajectory, as the route taken by the user. This conjures up mapping, tracking, and more recently, dropping 'pins' down to indicate departure and destination points. The trajectory can then be visualized on a map, as a line following streets or going "off course." The app will be mainly used outdoors. The idea of mapping trajectory is that another user could potentially retrace the path in the same place, mimic the shape in a different location, intersect it, or simply compare it to a similar trajectory from across the country. Ideas for the logo emphasize the active user's p.o.v: path, route, direction, arrows, markers, orientation, compass, radar, map. Movement: From the trajectory there is an implication of movement. The Audio Mobile project looks to track, by GPS, the specific locations of the sound recording in situ. The recording is done in the moment of the experience, and sound is mapped accordingly, along a path which may or may not be predetermined by the user. Ideas for the logo: motion, mobility, pace, speed, temporality, gps, intersection. Sound: Representing sound is often done through the idea of the sound wave or vibration, as these in themselves become a means to map sound visually in space, over time. 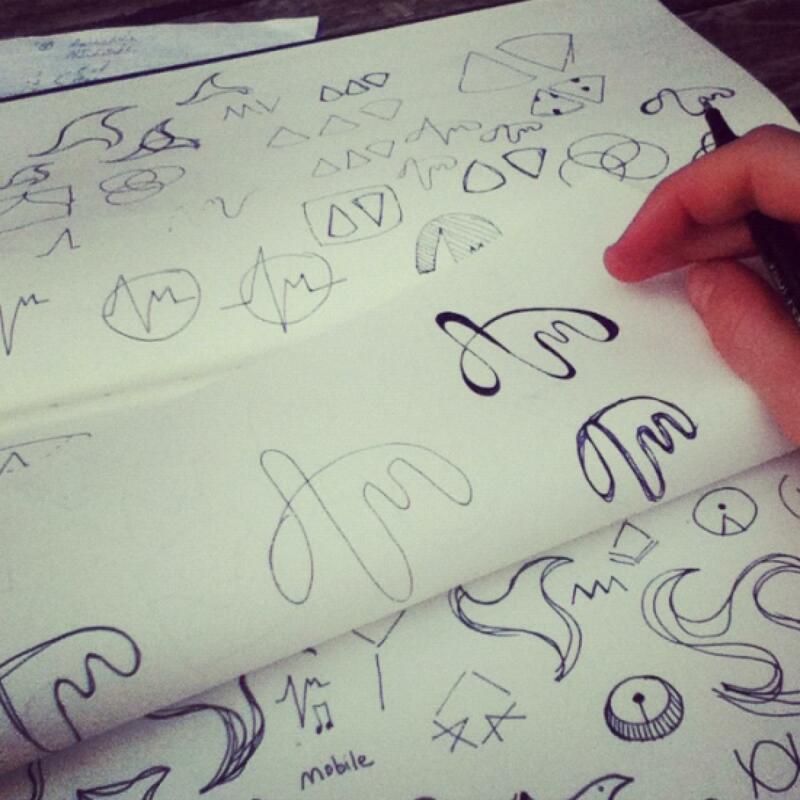 Ideas for the logo: waves, dials, cycles. In the next few weeks we're hoping to have the project's look and feel ready, to correspond to each of these elements in a very simple and effective way. Other elements we are also considering are user groups as communities, and the social media and artistic potential of the project. We'll be sure to post the final outcome with a link, so check back soon.